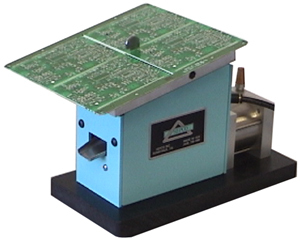 HEPCO Model 1200-1 : HEPCO, Inc.
For simple, fast and inexpensive depaneling of routed PCBs, HEPCO has the answer! Trims webs cleanly and without burrs. Custom blade geometry for clean shear. Unique, smooth blade motion rocks forward to avoid shock. Change blade sizes in less than 2 minutes!